Thin dusty light green leaves. Stems are up to 8 inches long with leaves grouped at the tips. Older leaves have red edges. 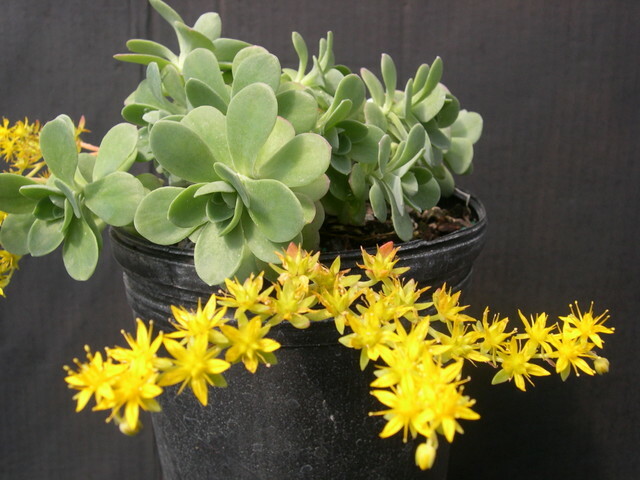 It is a late winter bloomer with laterally growing clusters of yellow flowers. Good as a houseplant on a windowsill or in a hanging basket. Semi-hardy. From Mexico.